Children and adults are welcome to learn about butterflies and participate in this annual butterfly count, as part of a national census to monitor species health and diversity. 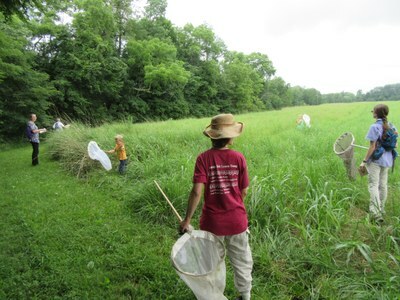 This is a rare opportunity for the public to explore UofL's Horner Conservation Property, also referred to as the Moore Observatory, which contains over 200 acres of wildlife habitat in Oldham County near Brownsboro, about 30 minutes from Belknap Campus. UofL biology professor emeritus Charles Covell will lead the 41st expedition, which will be done in a specified area from 10am to 3pm, although volunteers aren’t required to stay the whole time. Participants should meet at 9:30am in the parking lot of Sugar Babe Antiques, 7511 Highway 329 in Crestwood, about one mile northwest of Interstate 71’s Exit 14. Last year’s counters tallied 818 butterflies of 37 species. Rain date is July 1. Participants should wear hats, hiking shoes, long pants and long-sleeved shirts and bring sunscreen, water, lunch and insect repellent. The experts will supply nets but counters also can use cameras, binoculars and notebooks.